At last - one year on - an answer to a touring exhibition of Voyage! 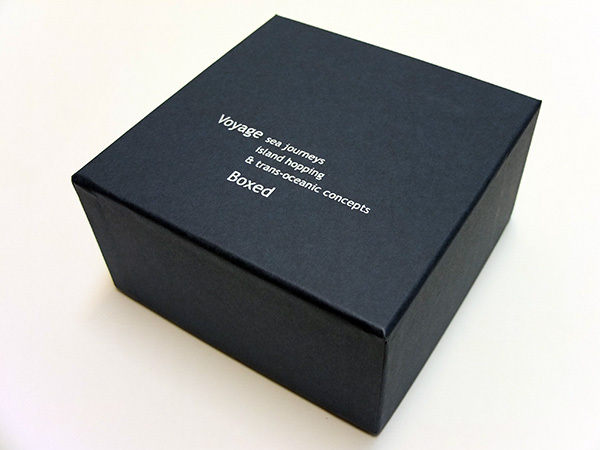 Voyage Boxed is a collection of 18 works by artists who took part in Voyage: sea journeys, island hopping and trans-oceanic concepts at Künstlerhaus Dortmund in 2013. The works measure 14.8 x 14.8cm and fit into a handmade box. For more information see here.